Mobility limitations become very frustrating when stairs become difficult to climb. A chair lift added to a stairway in the home or office makes all areas more accessible to anyone that finds stair climbing to be a challenge. Indy Stair Lifts is the national leader in supplying chair lifts to fit various stairway constructions. We are advocates for mobility-challenged individuals and provide top quality chair lifts at affordable prices. Our products deliver freedom and independence in the place of troublesome staircases. Residential chair lifts are built to accommodate indoor and outdoor staircases. 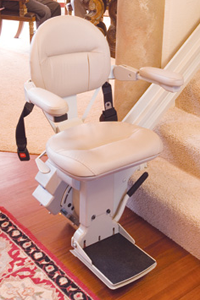 You may choose a residential chair lift to fit even narrow stairs to add access to your home. Chair lift models to fit curved stairways are also available. Restoring mobility with freedom and comfort is our primary objective. An Indy chair lift will return your house to the welcoming home you remember, and chargeable models will even provide service during power outages. Indy Stair Lifts are built to last and provide years of reliable comfort and durability. You can select a chair lift model to fit your home staircase and choose upholstery to fit your décor. We are proud to offer the best warranty in the business. We offer discounts for veterans, and options to suit many budgets. Outside of the comfort of home, schools, office buildings, and other areas of public access are also made accessible with Indy Stair Lift products. Our commercial chair lift selection offers mobility solutions for indoor and outdoor stairways. Indy Pro model chair lifts benefit everyone with comfortable and safe access anywhere a stair case imposes restrictions. No one should be deprived of their dignity and freedom of mobility in parks and public buildings. 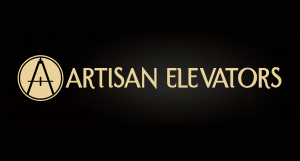 Our chair lift models vary in terms of size and style to suit any stairway. Indy Pro chair lifts are a great way to ensure that everyone has appropriate access to these locations.